Slow cookers are one of the most used kitchen equipment on the market and it is no surprise why! They are economical, save valuable time and recipes take much less prep which means less work. 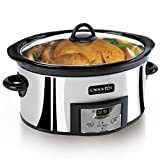 Whether you want to slow cook lamb to perfection or have meals ready by the time you come home from work, there is no doubt that slow cookers are a necessity in today’s busy lifestyle. There are hundreds of slow cookers on the market, and because buying one is an investment, we have put together this Shopping Guide to make your choice simpler. 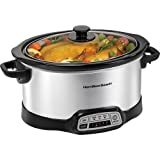 Slow cookers come in various sizes and styles and finding one that will suit your needs is dependent on how many people you plan on cooking for, what kinds of meals you want to prepare and how much time you have. 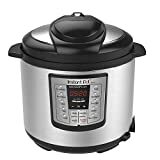 The three main slow cooker sizes are: mini cookers (2 quarts), four quarts and 6-7 quarts. 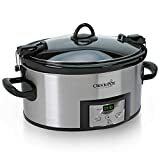 Mini Slow Cookers: These are small efficient cookers that are perfect for one-person meals or for dips and small dishes. 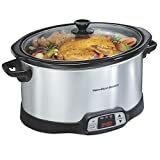 Whether you are a college student wanting to cook those home cooked meals or a big entertainer who needs and addition to your large cooker, then this slow cooker is for you. Four-Quart: These are great slow cookers for small families or small kitchens. They can make meals for up to four people with ease and are easy to store. Six-seven Quart: If you have a larger family or like to entertain, then this larger cooker is what you need! You can cook for guests like a professional, and no stew is too much for this cooker to handle. Versatility: People value their cookers that can produce a huge variety of recipes and offer many options. That they are the right size for any recipe, that the accessories fit the needs of the cook and that the features allow people to brown the meat before cooking; all add versatility to your cooker. Easy to clean: Slow cooking is the definition of convenience; being able to cook delicious tasty meals while you are out of the home. Cleaning your cooker needs to be convenient too and people value this feature of their cookers. Programmable: Chefs that have settings on their cookers that are able to automatically adjust time or to change from cooking to warming love their cookers. Being able to program your cooker means less hassle and more peace of mind, so check the program setting of your possible cooker before purchasing to make sure it has all the programs you need! Convenience: People value the convenience of their cookers. Ones that are easy to use and allow for time flexibility are rated much higher. Convenient cookers with the right features can allow you to cook for 11 hours without you having to worry. Buying a slow cooker with a removable base, is very convenient. This means you can prep your meals and refrigerate for later, until you are ready to prepare. 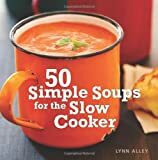 Slow cookers tend to be on counters and less hidden away than some other gadgets. It is for this reason, thinking about the color and style, is important. 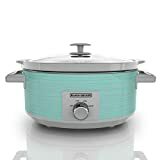 But not to worry, slow cookers come in a variety of colors and patterns, to fit into any kitchen decor. A programmable slow cooker allows you to set a start and finish time and gives you more flexibility. Once the meal is finished and ready to serve, this cooker will automatically switch to the warming setting and will keep your tasty meal heated and ready to serve. These are great time savers and are perfect for people on the go. For the master chefs, a three-in-one slow cooker comes with removable containers for different types of food. They are normally dishwasher safe and easy to clean and are the Rolls Royce of cookers, offering variety and convenience. It is helpful to consider where your cooker will be placed or if you will be traveling with it. Moving it outside, for the summer, can reduce energy consumption and the heat in your kitchen. There are also portable cookers, great for the RVs and vacations. To save money, check what accessories your slow cooker comes with. 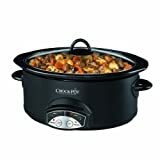 Some useful accessories and features for your cooker include: meat thermometers allowing you to check meat temps without disturbing the cooking, griddles, double dipper warmers handy for cooking two side dishes at once, tongs, travel warming bag and interchangeable crocks that offer cooks flexible slow cooking sizes. Some slow cookers come with a stove insert. This means you can brown your meat or onions on your stove before you add the rest of the ingredients and insert it into your slow cooker. Cuisinart: Started by Carl Sontheimer in 1973, Cuisinart is a well established kitchen appliance brand. 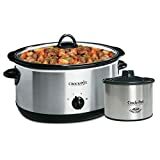 Crock Pot: Crock-Pot® slow cooker, used in so many kitchens around the world, debuted over four decades ago as a simple bean cooker. Hamilton Beach: Hamilton Beach Brands, Inc is one of the country's leading distributors of small appliances and kitchenware. West Bend: West Bend®, a leading developer of electric kitchen appliances, has been in business since 1911.